Oh wait, you think I need to say something else. 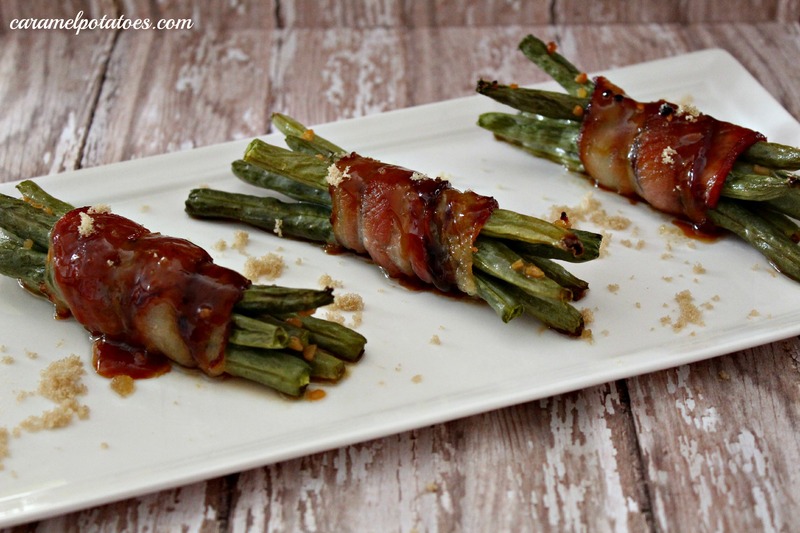 I really don’t know what else to say about these Bacon Wrapped Green Beans other than try them TODAY!! In all seriousness, I think this may be the green bean jackpot, if there is such a thing. We eat a lot of fresh green beans in our house. 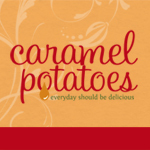 Everyone likes them and they are relatively inexpensive at my local grocery store. But these little bundles of joy were an even bigger hit than normal. Preheat oven to 400. Line a baking tray with parchment paper. Wash and trim green beans. Divide green beans into eight piles (6-8 beans in each). Take a piece of bacon and lay one of the green bean bunches at one end, tightly roll the bacon around the green beans. Place seam side down on prepared baking sheet. Continue with remaining bunches. Sprinkle 3 tablespoons of brown sugar over the top of the green beans. In a microwave safe bowl, add the butter and remaining tablespoon of butter. Melt in the microwave for about 30 seconds. Add the vinegar and soy sauce. Stir until sugar is melted and incorporated. Stir in the garlic, salt and pepper. Drizzle over the green bean bundles. Bake uncovered, 30-40 minutes or until bacon is cooked through. Serve immediately with pan drippings drizzled over the top.